Each year, Jamie Dimon’s annual letter to shareholders is considered required reading by folks on Wall Street and elsewhere. 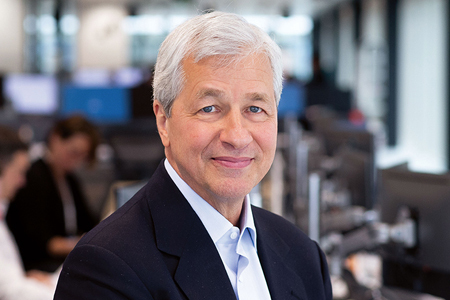 Dimon is Chairman and CEO of JPMorgan Chase, the largest of the big four American banks. Reading through his letter this year, I found three areas we might consider directly relevant to recent editorials in Outsourced Pharma pursuing challenges and solutions vital to readers’ day-in-and-day-out jobs, and overall organizational success. Here are excerpts from the selected sections I think important to all of us. Great management is critical, though true leadership requires more. For any large organization, great management is critical to its long-term success. Great management is disciplined and rigorous. Facts, analysis, detail … facts, analysis, detail … repeat. You can never do enough, and it does not end. Complex activity requires hard work and not guessing. Test, test, test and learn, learn, learn. And accept failure as a “normal” recurring outcome. Develop great models but know that they are not the answer – judgment has to be involved in matters related to human beings. You need to have good decision-making processes, with the right people in the room, the proper dissemination of information and the appropriate follow-up – all to get to the right decision. Force urgency and kill complacency. Know that there is competition everywhere, all the time. But even if you do all of this well, it is not enough. Real leadership requires heart and humility. It’s possible to be very good at the type of management described above, but as managers rise in an organization, they depend on others more and more. The team is increasingly important – many team members know more than their managers do about certain issues – a team working together can get to a better outcome. I have seen many senior managers ascend into big new roles with a bad reaction to their increasing dependence on other people – by hoarding information, never allowing themselves to be embarrassed and demanding personal loyalty versus loyalty to the organization and its principles. They don’t grow into the new job – they swell into it. I have often felt that dependency on their teams makes these folks feel paranoid or insecure – leading to this bad behavior. Good leaders have the humility to know that they don’t know everything. They foster an environment of openness and sharing. They earn trust and respect. There are no “friends of the boss” – everyone gets equal treatment. The door is universally open to everybody. Everyone knows that these leaders are only trying to do the right thing for customers and clients. They share the credit when things go well and take the blame when it does not. And true leaders don’t just show they care – they actually do care. While they demand hard work and effort, they work as hard as anyone, and they have deep empathy for their employees under any type of stress. They are patriots not mercenaries; they have the heart to wear the jersey every day. These now represent almost 20% of GDP — more than twice the cost per person compared with most developed nations. While we have some of the best healthcare in the world, our outcomes are not twice as good as those of the rest of the world. Some studies say that gains in life expectancy in the last 50 years were a significant contributor to U.S. national wealth (and health), possibly equal to half of GDP growth, as people were healthier and lived longer, which generally improved the quality of the labor force and productivity. This may no longer be true. Obesity costs our country $1.4 trillion a year because it drives so many illnesses (i.e., heart disease, diabetes, cancer, stroke and depression). Even worse, 70% of today’s youth (ages 17–24) are not eligible for military service, essentially due to poor academic skills (basic reading and writing) or health issues (often obesity or diabetes). And out-of-pocket healthcare expenses for the average American have skyrocketed over the last 20 years, causing huge anxiety, particularly for low-income families who have been hit with the highest increases in healthcare costs. This may be our toughest, most complicated problem, but we know there are some things we can do to make the system work better. Some of the solutions may include aligning incentives better; trying to eliminate the extraordinary amount of money wasted on bureaucracy, administration and fraud; empowering employees to make better choices with upfront transparency in employer plan pricing and options and the actual cost of medical procedures; developing better corporate wellness programs, focusing particularly on obesity and smoking; creating better tools to shop around for non-emergency care and manage healthcare expenses; and reducing the extraordinary expense for unwanted end-of-life care. Another obvious thing to do is to start teaching wellness, nutrition, health and exercise in K-12 classrooms nationwide. Is capitalism to blame? Is socialism better? There is no question that capitalism has been the most successful economic system the world has ever seen. It has helped lift billions of people out of poverty, and it has helped enhance the wealth, health and education of people around the world. Capitalism enables competition, innovation and choice. This is not to say that capitalism does not have flaws, that it isn’t leaving people behind and that it shouldn’t be improved. It’s essential to have a strong social safety net – and all countries should be striving for continuous improvement in regulations as well as social and welfare conditions. Many countries are called social democracies, and they successfully combine market economies with strong social safety nets. This is completely different from traditional socialism. In a traditional socialist system, the government controls the means of production and decides what to produce and in what quantities, and, often, how and where the citizens work rather than leaving those decisions in the hands of the private sector. I am not an advocate for unregulated, unvarnished, free-for-all capitalism. (Few people I know are.) But we shouldn’t forget that true freedom and free enterprise (capitalism) are, at some point, inexorably linked. Successful economies will create large, successful companies.